Lightning-sensitive operations rely on Vaisala TSS928 sensors to provide critical local lightning information, both for meteorological applications as well as threat data, to facilitate advance warnings, initiate safety procedures, and isolate equipment with full confidence. The patented lightning algorithms of provide the most precise ranging of any stand-alone lightning sensor available in the world today. The optical coincident requirement eliminates reporting of non-lightning events. Detects and reports range and bearing of cloud-to-ground lightning. Detects and counts cloud lightning. 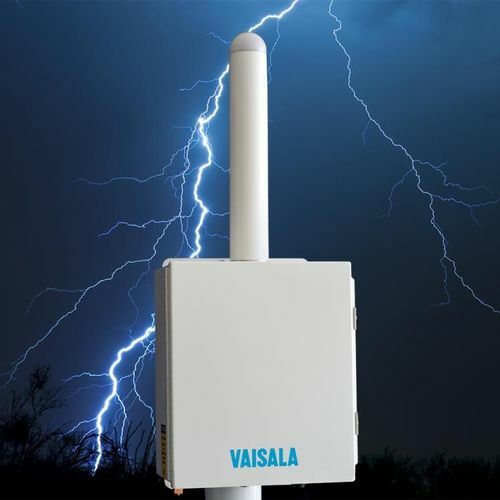 Provides critical local lightning information, both for meteorological applications as well as threat data, to facilitate advance warnings, initiate safety procedures, and isolate equipment with full confidence. Modular design allows easier field service and on-site maintenance, and self-diagnostics features for checking sensor function status.